We all have the general fear that nobody will go to our birthday party, implying that the hour or so before commencement normally just includes you pacing all over the room, feeling like a big bag of nerves. A six-year-old boy experienced a very sad disappointment after allegedly being let down by his friends who failed to turn up to his birthday party. 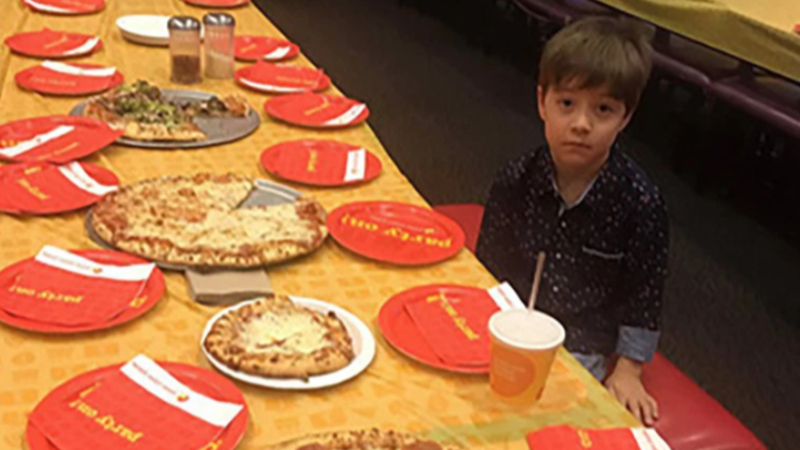 Teddy from Tucson, Arizona, invited 32 of his school friends to a pizza party at a Peter Piper Pizza restaurant, but none of them ended up going according to his mother. It didn’t take long for social media users to rally and show their support for the young kid – with Mazzini commenting to say that she had been showing him all of the messages. “He is already smiling!” she wrote.